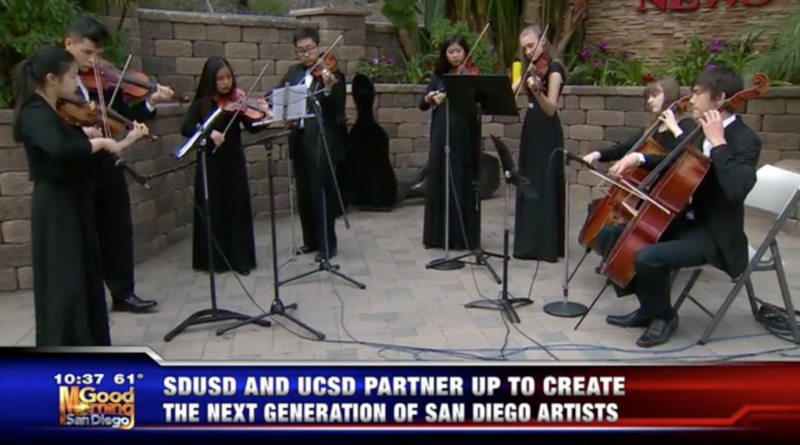 The morning of the most recent SDUSD Honor Concert on April 29, UCSD announced that it would pledge $100,000 to a new partnership with SDUSD to support music education in the district. At a reception at Copley Symphony Hall prior to the concert, District Superintendent Cindy Marten, VAPA Director Russ Sperling and UCSD Chancellor Pradeep Khosla discussed the opportunity that this will provide students of SDUSD – and, one day, UCSD. You can click here and read more about the story and watch some of SDUSD’s top musicians (a few of them our customers!) performing at KUSI the morning of the concert here.